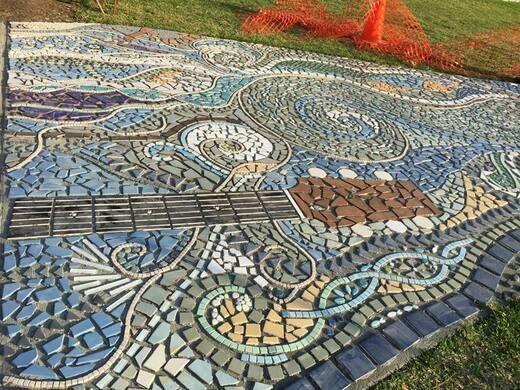 While strolling through eclectic assortment of colorful mosaics, be prepared to come across anything from abstract designs to recognizable shapes like kayaks and guitars. 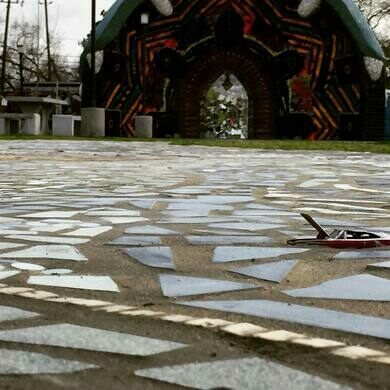 Houston’s Smither Park is covered in creative folk mosaics contributed by more than 300 artists. 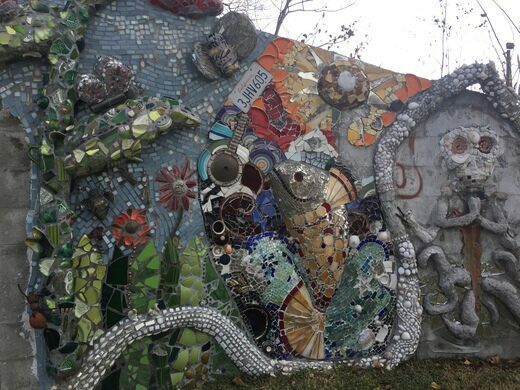 The self-taught artists used recycled materials like broken dishes and discarded glass. It’s an ongoing, evolving project, so it’s still frequently filled with artists adding new works. 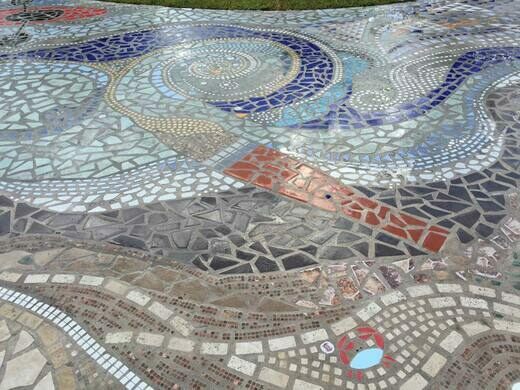 The medley of mosaics makes the park feel like a vibrant outdoor gallery. 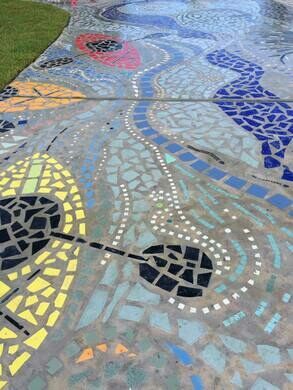 The walls and sidewalks are covered in colored glass and other odd found materials. 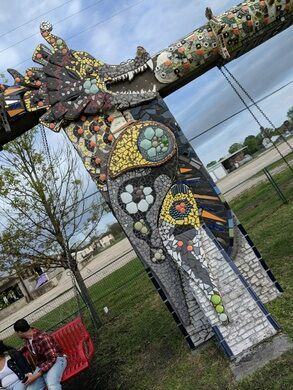 There’s also a memorial wall, a meditation garden, a pavilion that appears to be held up by trees, and a stage built to look like the mouth of a giant angler fish. Dan Phillips and Stephanie Smither designed the park in honor of Stephanie’s late husband, John H. Smither. 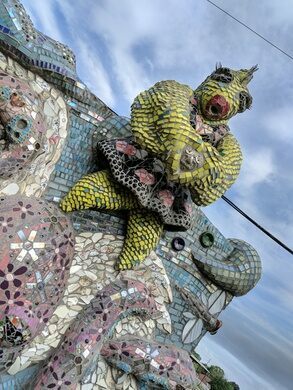 The Smithers, who have now both passed away, were avid supporters of outsider and folk art. 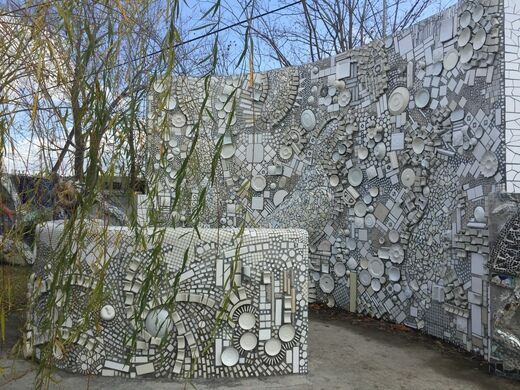 The creative urban space honors their memories and philanthropic contributions to the arts. The park is a peaceful place to walk around. 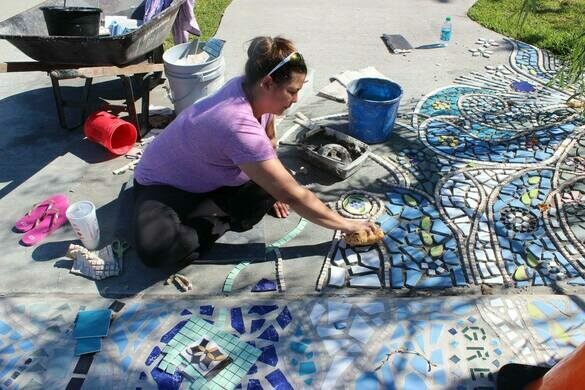 Bring a picnic to enjoy a lovely lunch outside, or go on a Saturday to watch the artists at work. 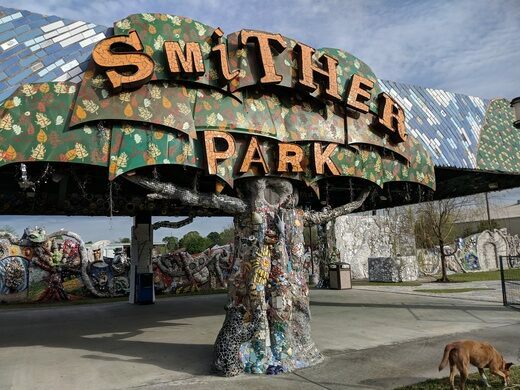 Smither Park is part of the Orange Show Center for Visionary Art, a local Houston nonprofit which manages not only Smither Park, but the legendary Houston Art Car Parade, the Beer Can House, and of course, the Orange Show. 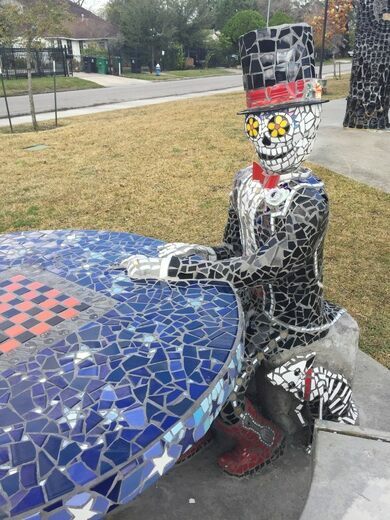 The park continues to expand as more and more artists contribute. If you are an artist interested in contributing time or resources, contact the Orange Show about volunteer opportunities. A little bit Wonkatania, a little bit pink elephant.